Fun Magnetic Easel for Kids to Learn and Play! This standing easel is multifunctional and perfect for solo play or play dates! 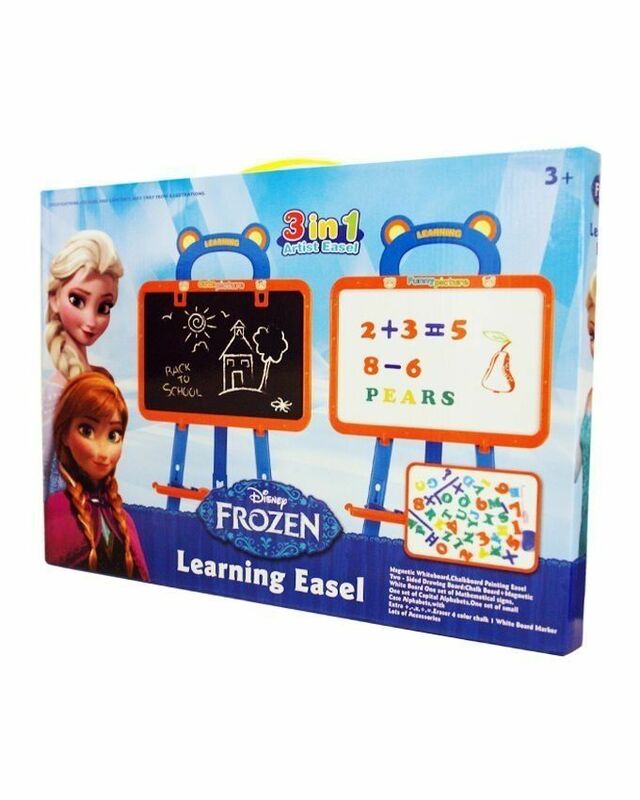 This two-sided easel features a magnetic board on one side and a chalkboard on the other giving your child a variety of options and hours of creative fun. This easel set comes with magnetic letters, numbers and signs. Includes the alphabet, set of numbers from 0-10, and math symbols (plus, minus, multiply, divide, equal signs). The middle storage tray holds loose pieces. A versatile floor standing easel designed for budding young artists. This product is promoting fun play and developing imagination and physical skills. 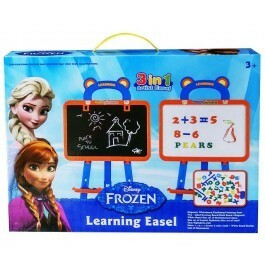 One side of the easel features a traditional chalk board and the reverse is magnetic, thus offering lots of creative and learning opportunities for young children.